25 July 2018: Piaggio India, the parent company of Vespa launched the Vespa Notte 125 on 25 July 2018 at Rs 70,285 (ex-showroom Delhi). It is the most affordable Vespa in the country at present, and is positioned below the LX 125. It is essentially the LX 125 but with an all-black colour scheme and with Notte badging on the apron storage box. The bodywork sports a matte black colour and the three-spoke alloy wheels are finished in black as well. Even the grab rails and the rear view mirrors get black finish, but the exhaust heat shield is in chrome. Instrumentation is fully analogue. 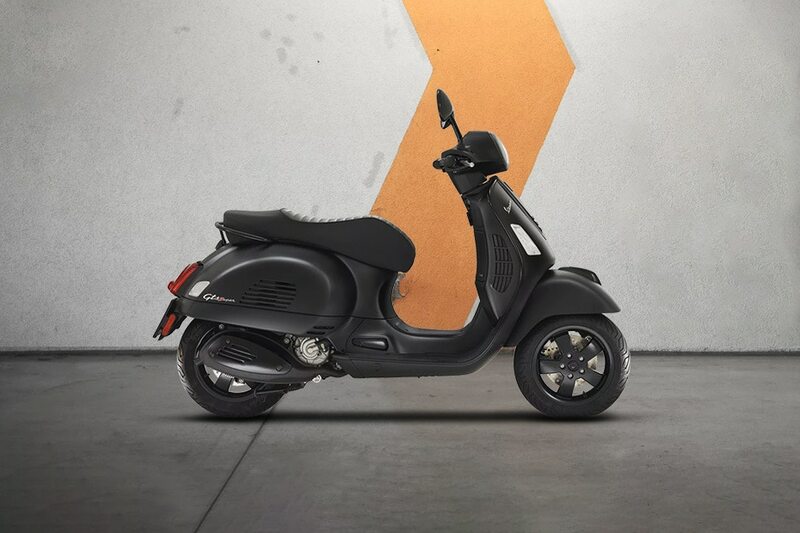 Mechanically, the scooter employs the same 125cc three-valve engine that’s good for 10.6PS of power at 7500rpm and 10.6Nm of torque at 6000rpm. The scooter is suspended on a bottom link front suspension and a single rear shock absorber. Braking is handled by drum units on both ends. Vespa does not offer a front disc even as an option with this scooter. The Aprilia SR 125, Honda Activa 125, Suzuki Burgman Street and TVS NTorq are the chief rivals of this scooter. Vespa Notte 125 STD gives a mileage of 60 Kmpl as claimed by the Automotive Research Association of India (ARAI). Vespa Notte is a cosmetic variant of the Vespa VXL125 that has blacked out everything. Wonderful scooter from Vespa. I drive my friend scooter and scooter looks are awesome, smooth ride, the fuel tank is 9 LTRS. Q. Seat height from ground? A. The seat height of the Vespa Notte 125 is 770 mm. Q. Does it has metal body? A. Yes, it comes with metal body.